Drive another 900m to the turnoff on the right for the Fullbore and Swiss Range. There is a sign with the Swiss and Fullbore Club logos. 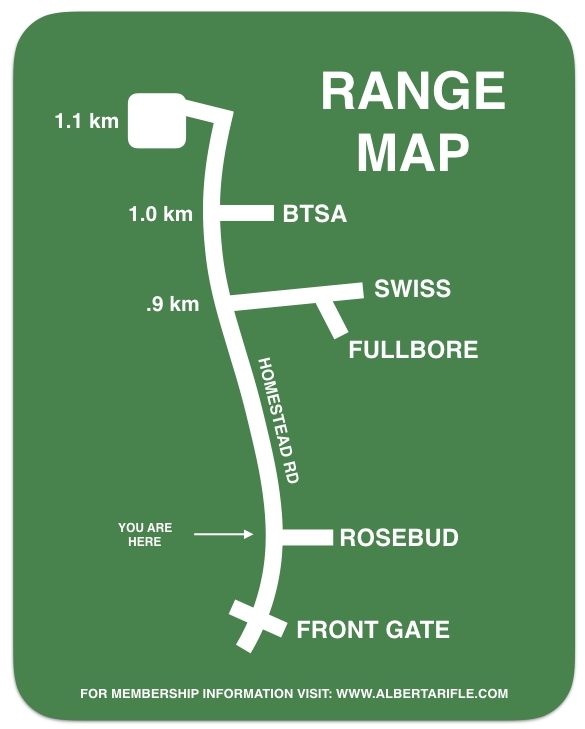 Drive a further 100m and the BSTA range will be on the right.